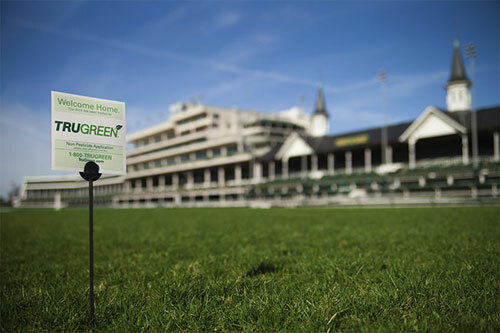 Churchill Downs, home of the Kentucky Derby, tapped TruGreen to care for the 37 acres of turf at its facility. Located in Louisville, Ky., Churchill Downs Racetrack holds Thoroughbred horse racing events three times a year—spring, September and fall. The racetrack spans 147 acres and features a one-mile dirt racetrack and a seven-furlong (7/8 mile) turf course for racing. The turf at Churchill Downs is a combination of Kentucky Bluegrass and Kentucky 31 fescue, which has blended with other grasses like tall fescue over the years, Rollman said. The Kentucky Derby, which will be held May 6, is America’s oldest continuously-held sports event. The track opened in 1875, the same year of the first Kentucky Derby.